This page collects information about the serprog protocol and the programmers implementing it. See serprog-protocol.txt in the source tree. It is designed to be compact and allow efficient storage in limited memory of programmer devices. 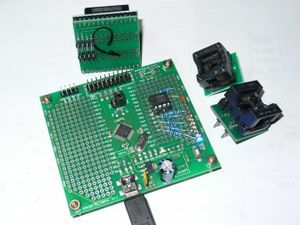 The Prototype RS232 AVR parallel flash programmer of Urja Rannikko was the first implementation of the serprog protocol. The source code can be found here. This was the first one that talks to SPI devices via serial over USB. Details can be found in the coreboot wiki and in this coreboot mailing list thread. Like the InSystemFlasher this one uses LUFA on an AVR microcontroller to tunnel the serial data over USB. 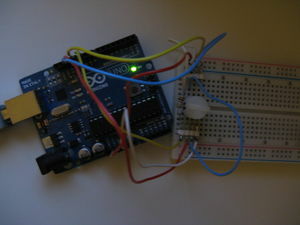 This project contains source code to install on Arduino devices. 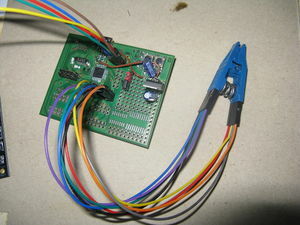 For detailed instructions on how to use different Arduino models to access SPI flash chips see Serprog/Arduino flasher. Some information is lacking on this flasher, such as the software used in it. Feel free to add information on it if you find some. 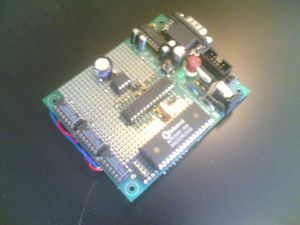 A Teensy 3.1 based small flasher by Urja Rannikko. The most powerful serprog-based programmer is built upon an ARM Cortex-M3 (STM32F103) featuring up to 36 MHz SPI clock. See his github page for further details, source code etc. This page was last modified on 27 February 2018, at 15:22.